WWE will air two previously unaired shows with matches taped inside LA’s Staples Center tonight. NXT will feature matches taped before WarGames on Saturday and 205 Live filmed last night before Smackdown. 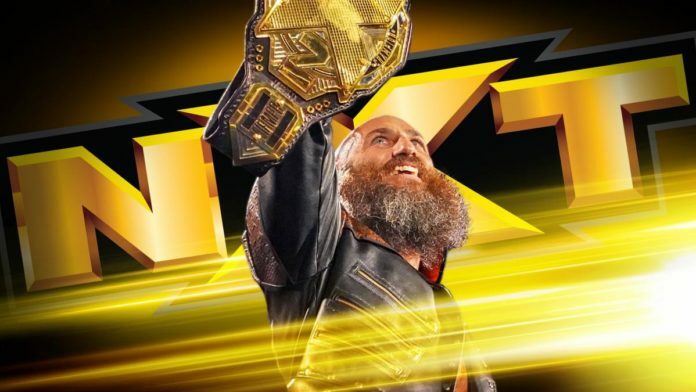 NXT will feature both Nikki Cross and Lars Sullivan tonight. Cross has been up and down from the main roster a couple of times this year while vignettes featuring Sullivan’s pending call-up have appeared on both Raw and Smackdown this week. Candice LeRae says she’s ready to”play” with Nikki Cross this week. With the rivalry between Shayna Baszler and Kairi Sane coming to a likely end at Takeover on Saturday, the field is wide open for a new contender to emerge from the NXT women’s division. That contender could easily be the winner of this match, although Bianca Belair is likely the front-runner, however. The last time Sullivan wrestled he defeated Velveteen Dream. Tonight, Lars will be in singles action in front of a live Los Angeles crowd. His opponent has yet to be named, however, which likely means they are enhancement talent. Keith Lee will also see in-ring action tonight. As with Sullivan, Lee’s opponent has yet to be officially named by WWE, likely meaning they are enhancement talent. WWE will also be airing highlights from all the action from Saturday’s Takeover: WarGames event tonight as well. TJP used to wrestle as a luchador in Mexico but that doesn’t mean he respects the culture. The former Cruiserweight Champion has gone out of his way to disrespect the masks of the Lucha House Party. He’ll be in tough tonight, however, when he goes one on one with Gran Metalik. Don’t forget Maria Kanellis is now aligned with TJP as well. She’ll likely be around to help her new client. Buddy Murphy’s Next Challenger Revealed? With Murphy having taken care of Mustafa Alli at Survivor Series, it opens the door for a new number one contender to be named. Drake Maverick will likely have something to say on this matter tonight. That is, only if he isn’t in segments where he is urinating himself, that is.